Amity University has started the Application process for PG and UG programs commences. Candidates interested in admission to Amity University can apply online or offline, whichever mode they find more feasible. On submitting Amity University application form they can check admission status at admission microsite. Admission microsite is an online portal at amity.edu. An applicant can check his Registration/ Interview/ Selection status by logging into his/ her Admission Microsite. Check eligibility criteria, course details, dates and apply for Amity University Admission 2019. Here candidate can check complete details regarding Amity University Admission 2019 like Application form, Selection Procedure etc. Latest: Last date to apply for Amity University Admission 2019 has been revised. Scroll down to check the same. Candidates who are going to apply for UG or PG Course in Amity University must apply and submit the application form. Candidates can check Amity University Admission 2019 schedule from the table below. Option 2: Download Application Form for offline submission. Only a copy or scanned copy of class 10th mark-sheet and a recent colour passport size photograph is required to be submitted/uploaded along with the Application Form. What is Amity University 2019 Admission Microsite? Admission microsite is an online portal at amity.edu. An applicant can check his Registration/ Interview/ Selection status by logging into his/ her Admission Microsite with the application form number and the password at regular intervals for all admission related information. Once you submit an application form, the university generates a form number. That (form number) together with the password which you use for form are login credentials. Here you can (i) Check admission status (ii) Know admission test / entrance examination for Amity University Admission 2019 details. 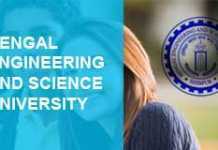 Amity University Admission 2019 is for programs on Actuarial Science, Animation, Anthropology, Applied Sciences, Architecture, Biotech, Clean & Sustainable Technology, Click Chemistry Research & Studies, Commerce, Communication, Computer Science/ IT, Design, Economics, Education, Engineering, English literature, Environment, Fashion, Finance, Fine Arts, Food Technology, Forensic Sciences, Geo, Informatics & Remote Sensing, Health & Medical Sciences, Health Sciences, Horticulture, Hospital Administration,Hotel Management Hospitality, Insurance, Insurance and Banking, Language, Law, Liberal Arts, Logistics, Management, Marine Science, Materials & Devices, Medical, Microbial Sciences, Molecular Medicine & Stem Cell Research and Cancer Biology, Nanotechnology, Natural Resources & Sustainable Development, Neuropsychology & Neurosciences, NGO Management / Development Studies, Nuclear Science & Technology, Nursing, Occupational Therapy, Organic Agriculture, Performing Arts, Pharmacy, Physical Education, Physiology, Physiotherapy, Post Harvest Technology, Psychology & Behavioural Science, Public Health, Public Policy, Real Estate And Urban Infrastructure, Rural Management, Sanskrit Studies, Social Science, Social Work, Solar & Alternate energy, Space Sciences, Special Education, Supply Chain Management, Telecom, Travel & Tourism, Virology & Immunology,Wildlife Sciences. I want to know that when exam is held of organic agriculture & when admit card come? I have got 77.80%in class 12th..so I can take admission in Amity university. Sir I want to apply for msc applied chemistry in amity university I have scored 59.5% in bsc pcm am I eligible for this? And plz tell me whether the exam is offline or online? What is the syllabus for entrance of msc applied chemistry?